For Leo Ascendant people, Venus rules the 10th house & 3rd house of chart with its sign Taurus & Libra. So, let’s look at 10th house, 3rd house, Taurus and Libra too. What will Venus do in Aspect? – Now, Venus can be sitting in any house of chart for a Leo Ascendant person.1st of all, Venus will take the energy of house of chart, it rules with Taurus & Libra sign, and take it to the house where it sits. Then from the house it sits, it will throw its aspect on the 7th house from its place. Now, as Venus basically represents Relations & Creativity, with Venus's aspect on a particular house, it shows that person wants to be creative with things related to that house or has natural love/relationship towards that house. Now, let’s see the meaning and impact of Venus's aspect through different houses for Leo Ascendant people. Venus in 1st house – Venus is in Leo here. This shows a highly creative person as planet and sign of creativity is coming together in Ascendant and impacting life path. The should always follow a creative career based on their skills, interests and hobbies. Venus's aspect on 7th house also shows that they want to relate with other people based on creativity. Creativity becomes a foundation of their relation. They may look for a partner having common interests or hobbies. That helps them better in relations. Venus in 2nd house – Here, Venus will be debilitated. This shows relation with younger sibling goes for a toss. Conflict with them may result in loss of wealth. It also shows that they are very analytical, critical and kind of perfectionist in matters of efforts, career and wealth. They may be wealthy but they may always feel dearth of wealth. They can be in finance related work. Venus's aspect on 8th house suggests that they have this perfectionist approach towards in-laws, which kind of ruins the relations. Although, it can give a natural love towards mysticism but even there they want to be perfectionist. Venus in 3rd house – Venus is in own sign Libra. This is one position where person must follow his interests and skills as career as 10th lord is in 3rd house, in its own sign. They will prosper more in their own work than in job setup. Venus's aspect on 9th house suggests that they want to relate with people of different ethnicity from faraway places for the purpose of their work. They also love to attain higher education for expansion of Business. Venus in 4th house –Venus is in Scorpio here. This shows a love life full of ups and downs. Basic foundation of love and relationship is shaky as Scorpio is sign of sudden events and this position shows love life going into turmoil. This also shows someone very secretive in love matters and also has a passion towards Occult and Mysticism. Venus's aspect on 10th house shows that person desires to take his passion towards occult and mysticism into creating a career for himself. They can do very well in such a career. Venus's aspect also suggest a desire to have a pleasant relation with all at work. Venus in 5th house – Venus is in Sagittarius here. This is a person all about education and higher education. A natural love towards higher education. They may have a relation with someone from different culture. They can be in academics related career. Venus's aspect on 11th house shows person will earn through his higher education and may utilize his higher education for the purpose of social welfare and helping humanity. Venus in 6th house – Venus is in Capricorn here. As Capricorn is sign of Law & Order and 6th house is disputes and litigation, it can be a position of a Lawyer but as Venus is about Service, they can be working in a Law firm or Legal Team of an organization. So, work will be legal but job oriented. Venus's aspect on 12th house also shows that they desire to serve in Foreign Companies and MNCs in such profile. Venus in 7th house – Venus is in Aquarius. This shows a person all about relations and connecting with masses. They desire to connect with other people with their career and business. Venus's aspect back at 1st house shows that they relate with themselves better once they are able to relate with others with the help of their career, Recognition from others make them feel good about themselves. But as Venus is in Saturn ruled sign, it may happen in 30s. Venus in 8th house – Venus is exalted in Pisces here. 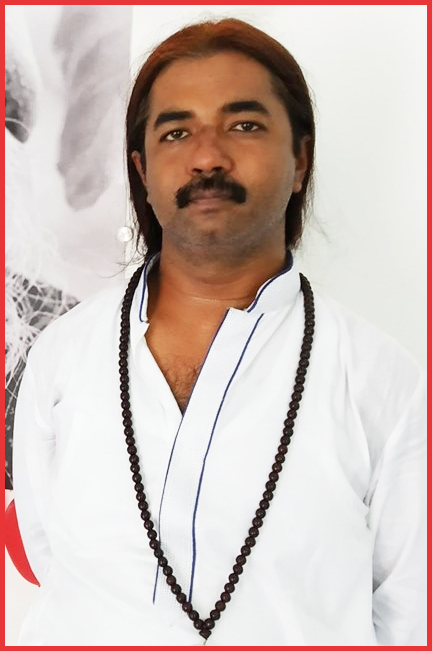 This is a person who has immense love towards spirituality, occult and service to others. They find their spirituality, either through Occult or through Service to Others. They are selfless lovers and like a mother when it comes to serving people. Venus's aspect on 2nd house shows that they are gaining wealth through their service and desire to have a loving relation with family. Venus in 9th house – Venus will be in Aries here. This shows a person who has love towards travelling and higher education. At the same time, they will assert their individuality in matters of wealth and knowledge. Their interests and career are going into 9th house of higher education. They will be interested in relations with people of different ethnicity. Venus's aspect on 3rd house and own sign strengthens that house. It shows someone wants to communicate and teach through his higher education. They can have very pleasant way of speaking. Venus in 10th house – Here Venus is in own sign in Taurus. This strengthens the 10th house of Career and as 3rd lord is coming into 10th house, it is big indication that someone pursuing his creative skills and interests as Career. This gives pleasant relation with parents. They like to have good pleasant home environment. Venus's aspect on 4th house shows that they want to gain a good home through their career and also want to serve people of homeland through their creativity. Last thing they should do in Career is to look for a job. Venus in 11th house – Venus is in Gemini here. This shows someone using his skills, hobbies and interests in helping humanity and bringing social change. This action also brings them gains and earnings. Venus's aspect on 5th house of creativity kind of confirms the situation as they utilize their creativity and education to help humanitarian causes. Real good position for wealth. Venus in 12th house – Venus is in Cancer here. This shows someone career in healing, service and taking care of people. 12th house, Cancer and Venus all represent service and taking care of people. They can be motherly in caring for people. Venus's aspect on 6th house also shows their love towards service to people and society. They like to keep a cordial relation with their colleagues at work place. So, this is a basic idea of how Venus's aspect will work in different houses for Leo Ascendant people. Love, Wealth and Relations will remain natural factors with Venus.